In September Albert Pye linked up with Sports Leaders UK and introduced the playmakers award. To become a playmaker the pupils had to attend weekly before school sessions where they learnt a whole host of leadership skills; how to communicate effectively with others, organise pupils and equipment and work as part of a team. They also had to complete a leadership journal where they recorded information that helped them to become the best leader they could be. 14 pupils from year 5 and 6 took on this challenge as well as attending these sessions. 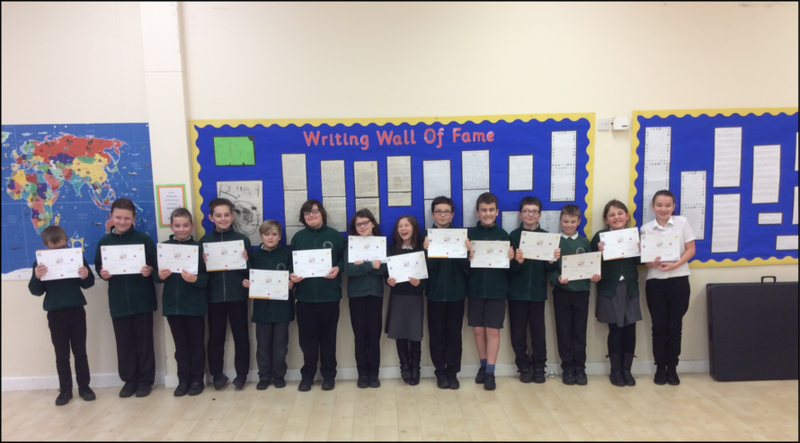 They volunteered at sports clubs and tournaments and ran competitions at lunch times. This gave them the experience needed to achieve their goal of becoming a sports leader. All pupils received their certificates in a special sports assembly and are now looking forward to more challenges ahead this year.